Staff and people being supported by Turning Point Scotland have been fundraising hard for 18 months to bring specialist equipment to the region, to reduce the devastating impact of melanoma. The handheld Dermlite machine allows GPs to diagnose melanoma and other skin cancers at a surgery appointment. This is much quicker than a patient waiting for a clinic appointment so it can speed up access to treatment by weeks or possibly months. Normally people would have to travel to Dumfries for initial diagnosis, however, money raised to buy the Dermlite machine, based in Castle Douglas, will also reduce the distance and logistics of travelling for those further away from Dumfries. Social care charity Turning Point Scotland has been providing support to people with learning disabilities and autism in Dumfries & Galloway for 20 years. Staff, people being supported, friends and families organised and attended a series of discos to raise the funds to celebrate key dates in the year like Easter and Hallowe’en. 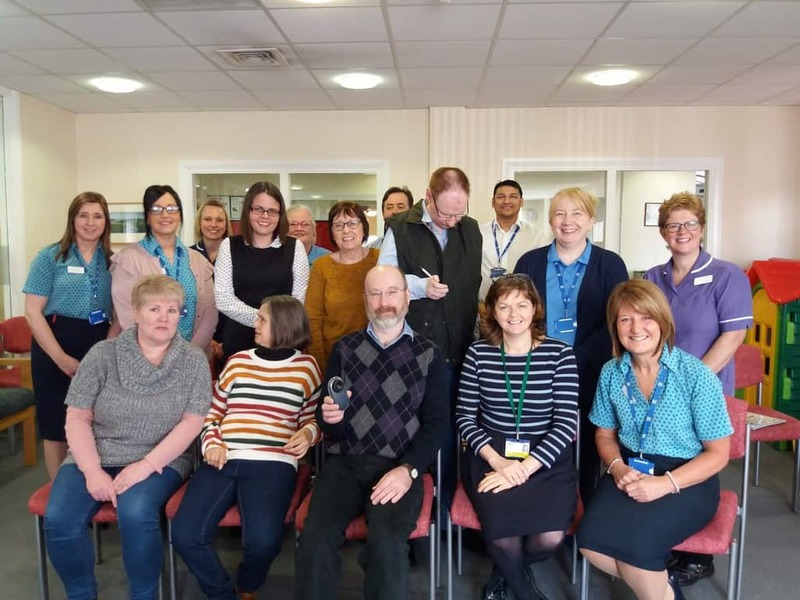 The driving force in organising these events was Kate Kirkpatrick, Lead Practitioner in Castle Douglas services and Janice McCulloch, the service coordinator for all of the services involved. The Market Inn Hotel in Dumfries whose contribution of the free venue helped greatly in raising the funds. ‘We are delighted to be able to make this contribution to communities living in Dumfries & Galloway to hopefully save lives by speeding up treatment and reduce the anxiety of a melanoma diagnosis. They are rightly proud of what they have achieved and as Turning Point Scotland and Dumfries & Galloway approach their 20th anniversary it is a great example of what we try to achieve every day, not just improving lives for people we support, but the whole region. We pride ourselves on promoting Turning Point Scotland’s Citizenship approach which is the belief that people with learning disabilities or autism have a hugely positive part to play in the community and this is a great example of that. The Scottish Government recognises that people with a learning disability do not historically have as good health outcomes as the general population. ‘This will be of immense benefit to the practice and to the patients. It means we can make a diagnosis on site without having to refer into secondary care, without having to refer to dermatology, which then means the patient has got a clearer understanding of treatment at a much earlier stage. This means we can minimise the number of referrals through. So it is a benefit to the patient, to the practice and secondary care. ‘Dermlite is used for looking at skin lesions. As time goes by we are seeing more and more skin conditions and some of them are malignancies. The GP needs to be able to hopefully identify these things so he or she knows which need to be sent on to the hospital for further examination and treatment. If you see a spot that is changing, itching or bleeding, get it checked out. Some of the nastier lesions, if you catch them early enough you can cure them. The combination of North European skin and Mediterranean holidays is what is causing a lot of trouble as well as sun bed use. When I was a child the dangers of skin exposure were not understood. In those days we didn’t have tropical holidays which are now routine and therein lies the problem. It has become fashionable to have tanned skin. ‘We can look at a lesion and previously we may not be sure what it is. This can help identify what it might be and then if we are concerned we can send the patient on a fast track to referral and get it dealt with on a faster basis. Lots of times it’s nothing or no symptoms and it’s just a freckle or a mole that has changed and it hasn’t gone back to its normal shape, then you should get seen. If you are worried, come and get it checked out, you are not wasting anyone’s time.